The $200 million African Union headquarters in Addis Ababa now has on its compound monuments of two illustrious sons of Africa; Emperor Haile Selassie of Ethiopia and Ghana’s Osagyefo Dr. Kwame Nkrumah. The texts accompanying each man’s statue is a perfect reflection of the ideals of the two men, what perhaps made them very good friends. The Second in command at the AU Commission, Ambassador Kwesi Quartey beams with smiles when I asked what he makes of the Selassie’s statue joining that of Ghana’s founder which was placed at the HQ in 2012. At this point it was obvious one was in for a history lesson on the relationship between the two icons and why they deserve to stand at the seat of the agency expected to lead the African unity agenda. The career diplomat recalls with precision what Ghana’s President said to Emperor Selassie when they met in Accra decades ago. Kwame Nkrumah may be regarded by many Africans as a great leader who inspired many generations beyond his 63-year life on earth. The news of his statue making its way to Ethiopia however did not receive widespread endorsement, especially among Ethiopians. Ethiopia’s leader at the time, Meles Zenawi, however, ditched his countryman and backed Ghana’s Osagyefo. 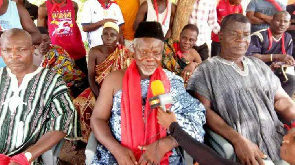 “It is only Nkrumah who is remembered whenever we talk about pan Africanism, Selassie is a feudal dictator,” he told local media. Back in the Osagyefo’s country, his contribution to his own country’s independence is still a subject of intense debate. His birthday, which was prior to 2017 celebrated as Founder’s Day, has since been scrapped with a proposed bill placed in parliament that will see the day christened Kwame Nkrumah Memorial Day. August 4, is, however, expected to be celebrated as Founders’ Day. Ambassador Quartey, who has spent months in Addis Ababa, is however not oblivious of happenings back home. 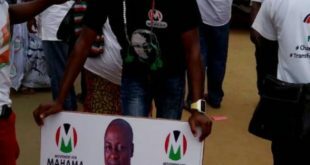 He follows keenly discussions that suggest that there is an attempt by the governing New Patriotic Party (NPP) to projects its founding fathers ahead of the BBC’s African of the Millennium. “When you travel outside Ghana, no one knows Danquah, it’s Nkrumah they talk about,” Ambassador Quartey says. 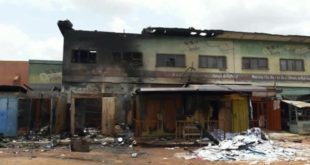 In July 2017 there was a huge storm on Ghanaian social media, sparked by a message attributed to former Ghana Special Advisor on Corruption, Daniel Batidam. Portions of the statement said President Akufo-Addo had moved a motion asking for the erection other statues at the AU Headquarters. “…it took a Ghanaian leader (Akufo-Addo) to propose the erection of other statues to stand with the statue of Nkrumah at the AU Headquarters,” Mr. Batidam is reported to have said. He will later grant an interview to an Accra-based radio station to recall how he watched Ghana’s President make the case for the Haile Selassie. President Akufo-Addo has since January 7, 2017, when he formally swore the Oath of Office, been accused largely by Nkrumahists as attempting to distort Ghana’s history which they contend, has a single hero; Kwame Nkrumah. The Nkrumahist thus swung into action, questioning why a Ghanaian would want to make a case for the statue. They argued, Osagyefo should have been allowed to enjoy the enviable slot of standing alone at the iconic office in Addis Ababa. 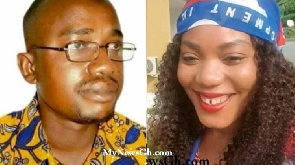 It is obvious at this stage that Mr. Arhin got it completely wrong. It is either he may not have been aware of what had actually transpired or was simply saving his Boss of possible backlash the move will generate. His post can no longer be found on his wall (no idea why). Mr. Batidam’s narrative is confirmed by Ambassador Kwesi Quartey who sits at the high table during deliberations at the summit. “At the last but one summit, when the summit was almost ending, we were sitting on the podium when I saw Nana’s flag, so I told the Chair ‘Ghana Ghana’. 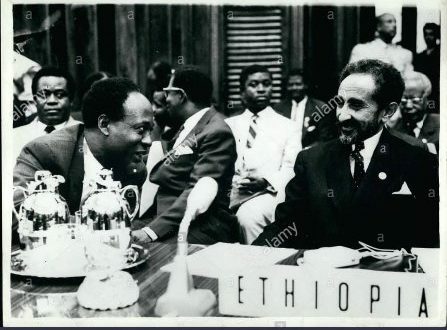 And you know Nana speaks well, he gave a background and as soon as he suggested it (that a monument is erected for Haile Selassie at the AU HQ), the room burst into applause and acclamation. The Chair of the meeting then, was the Guinean President, who said that ‘Mr. 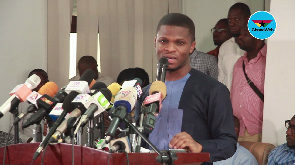 President, you have your answer’,” Ambassador Quartey recalls. 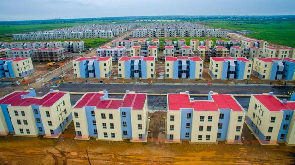 While in Ethiopia for the AU summit in February 2019, a local broadcaster carried a news item which had Ghana’s President explaining the importance of the Selassie monument to the African Union. He also played an integral role at the unveiling ceremony for the statue. The man considered divine by many Rastafarians thus earned his place at the plush AU Headquarters due to President Akufo-Addo’s motion.